A holiday in Kota Kinabalu, the state capital and main gateway town, offers access to urban areas boasting a diverse and rapidly evolving set of malls, bars, and quality restaurants serving locally caught seafood. Step out of the city life by going to Kinabalu Park and Scuba & Snorkeling. You'll discover tucked-away gems like Mantanani Island and Kundasang War Memorial. Spend the 29th (Mon) exploring nature at Tunku Abdul Rahman Marine Park. There's still lots to do: take in the awesome beauty at Mount Kinabalu, contemplate in the serene atmosphere at Kota Kinabalu City Mosque, and step off the mainland to explore Manukan Island. 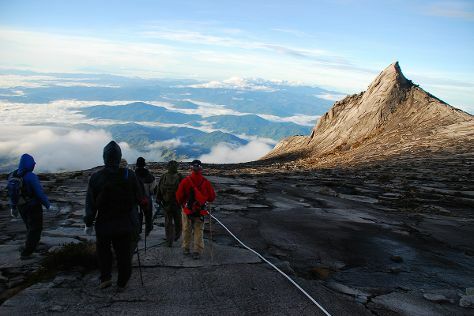 For maps, ratings, other places to visit, and other tourist information, refer to the Kota Kinabalu trip planner . If you are flying in from Taiwan, the closest major airport is Kota Kinabalu International Airport. In January, daily temperatures in Kota Kinabalu can reach 36°C, while at night they dip to 28°C. Wrap up your sightseeing on the 31st (Wed) early enough to travel back home.